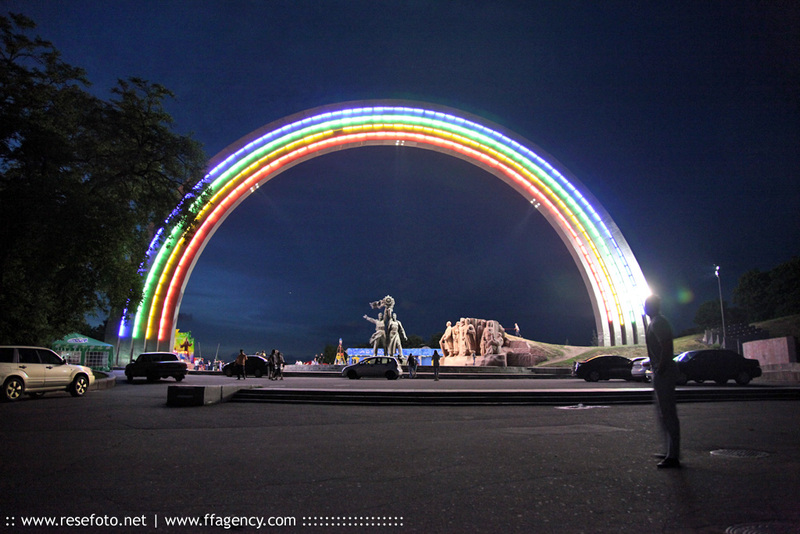 The Friendship Arch was constructed in 1982 by sculptor A. Skoblikov and architect I. Ivanov and others. It is a huge, 50 m in diameter, rainbow-shaped arch, made of titanium. 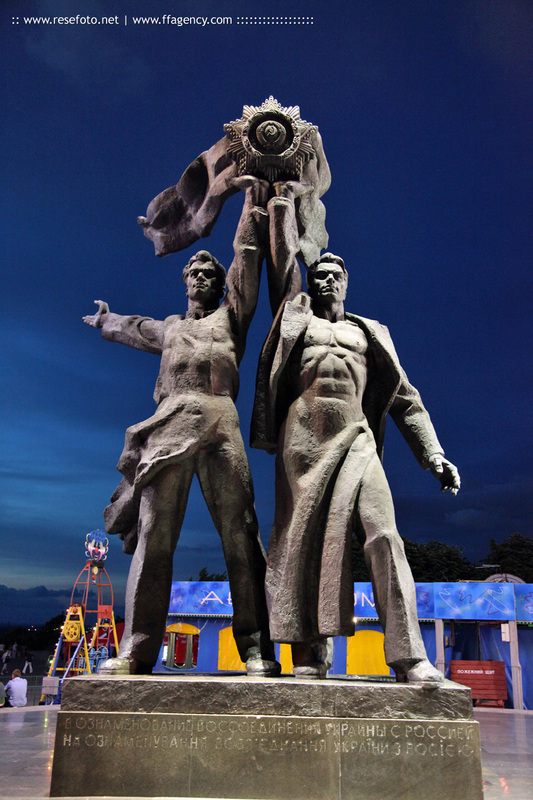 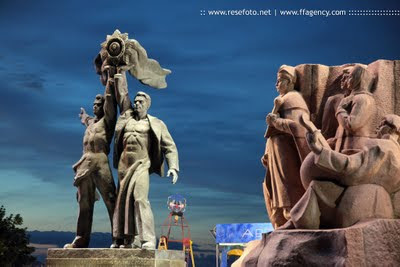 Underneath the Friendship Arch there are two statues: one which is made of bronze and depicts a Russian and Ukrainian worker holding up the Soviet Order of Friendship of Peoples and the other is made from granite and depicts the participants of the Pereyaslav Council of 1654.